Goodreads: A dying wish alters the course of a young woman's life. Life hadn't been easy for Summer Snow. In acts of selflessness-caring for her ailing parents and running her grandmother's bookstore-she had forfeited her youth and dreams for the needs of others. And the only tries she had at love... didn't turn out. She had the bookstore, she had her beloved granny, but she was missing something-or someone. Opportunity strikes when Granny sends Summer on an unexpected adventure with one Martin Langtree, a kind but gangly young man from Summer's past. A childhood friendship is rekindled, a romance is sparked, and mysteries are solved in one magical Texas summer. Will Summer strike out on love again, or will things finally go her way? Kritters Thoughts: This was an interesting read. As a warning before you keep reading my review, I try my hardest to provide honest feedback. 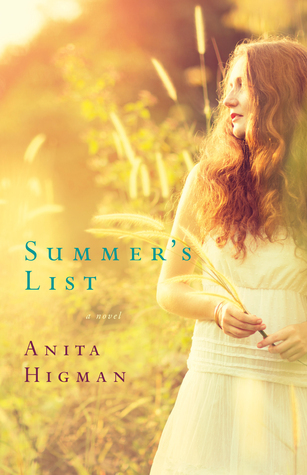 As Summer Snow is advertised as the main character and this book through the title and synopsis will revolve around a life list that her grandmother wants her to complete. Although this takes place in this book, I felt as though there was a lot of focus on a long lost friend that she reconnect with and his family - not Summer and her relationship with him, but instead his relationship with his brothers and his estranged parents. I wish that there had been less focus on him and his brothers. Another part that I didn't love was the language (not foul), but stuffy. The conversation between all the characters felt monotone and too proper - not that there should have been all this slang, but it just didn't feel real and personal. Finally, let me say I never go looking for review books that I don't think I would like. I only accept books that I think I would probably like in some way or another. I have reviewed many books for Litfuse and have loved them all. I couldn't find the last time I used the shoe below to review, so I wanted to share my thoughts in the most diplomatic way. I wouldn't write this author off yet, I would never do that with just one book from their collection. This one just didn't work for me. Disclosure of Material Connection: I received one copy of this book free of charge from Litfuse Publicty. I was not required to write a positive review in exchange for receipt of the book; rather, the opinions expressed in this review are my own.